The Austin IGDA has been working with Intel to help bring the annual Intel® Buzz Workshop to Austin on Oct.15 for the very first time! We’ve got member speakers and panel moderators, including Jen Bullard, Frank Coppersmith, and Sheri Graner Ray! You are all invited to this full-day conference dedicated to game development! This is a great opportunity for anyone looking for some guidance and feedback from industry mavens, or just a fun day full of networking and giveaways. There will be speaker panels and technical sessions hosted by industry gurus throughout the day, including Warren Spector (Deus Ex, Disney Epic Mickey Games) Raphael Colantonio (Arkane Studios), Corey Johnson (Unity) and many more. The talks will cover a range of topics from building & design, to launching and funding a game. There will also be an indie game showcase from a group of awesome local indie devs! More speakers will be announced soon. Finally, the folks at Intel will top the night off with Happy Hour :) Come and have fun! There will be LOTS of giveaways and food! The conference will be held at Vuka-Austin. Tickets are on sale right now. There are a few Early Bird tickets available, and after that it will be $10 with all proceedings going towards Child’s Play. Going from being an indie game developer to the owner/manager of an indie game studio is hard! You need to develop new skills to navigate being a business owner. On 22 Sept at 7:00 PM at the Capital Factory, come listen to a panel of experts on all the topics you know are important but are afraid to talk about. The IGDA and Austin Mobile & Indie Game Dev Meetups are pleased to bring to the Capital Factory a wide range of world class experts to help! Bring your toughest questions and get the answers you need. Great job Finn in getting selected as a featured speaker! 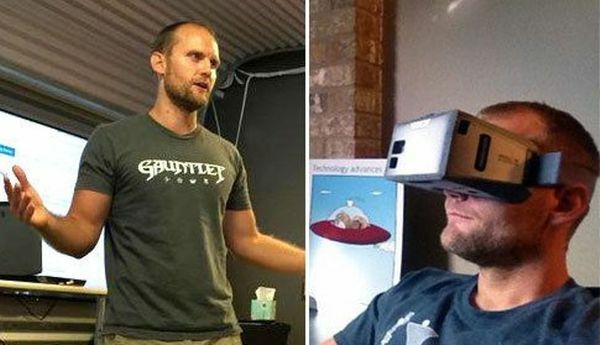 IGDA Austin is excited to join with Austin Indie and Mobile Game Dev Meet Up to feature IGDA member Finn Staber, programmer / designer at Portalarium. He’ll discuss developing AR games for smartglasses and VR games for mobile devices. Finn is a multi-talented game developer with a diverse background. He’s served in the U.S. Army and worked at several Austin game studios and startups. In addition to being a programmer and game designer, Finn has skills in Voice Acting, Visual FX, Animation, 3D Art and World Building. He also teaches Unity workshops at local colleges, and is a mentor for several high school game development programs. Finn is currently a Game Programmer/Designer at Portalariumworking on Shroud of the Avatar. Over the last couple of years, he’s developed a passion for creating augmented reality (AR) and virtual reality (VR) experiences. He enjoys helping other teams reach success, and is dedicated to making the Austin dev community the tip of the spear in AR/VR development! For his talk, Finn will focus on a couple of areas. First, he’ll cover building AR games for smartglasses. He’ll show you how to develop AR apps using Unity + Qualcomm’s Vuforia SDK. And he’ll discuss how to build & test your apps on the Epson Moverio Smartglasses, along with some design considerations inherent in augmented reality games. Of course, it’s true that no smartglasses are a huge commercial success at this point. But there’s a ton of interesting stuff on the horizon in this space, including Microsoft’s HoloLens, a rumored revamp of Google Glass, and the forthcoming Magic Leap SDK. Now is a great time to learn more about building games for these devices and stay ahead of the curve! Finn will also cover developing VR games for mobile devices. 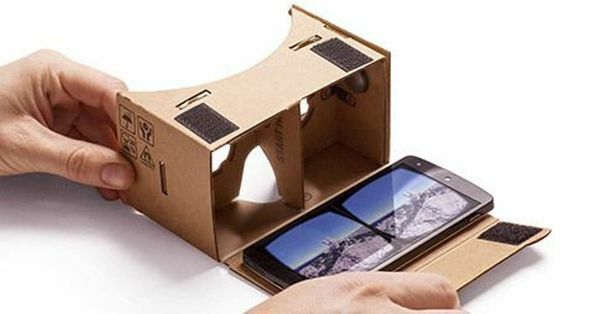 In particular, he’ll discuss how to add Google Cardboard functionality to a mobile game and how to prepare your game for the various mobile VR marketplaces. “Mobile VR” is basically any virtual reality experience created for mobile phones. 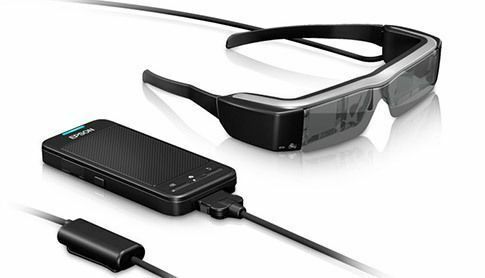 There are several prominent VR HMDs (head-mounted displays) designed to hold a standard smartphone. These include GearVR, MergeVR, and Google Cardboard. Of course, these don’t provide the high-end experience of Oculus Rift, but they may prove more popular for mainstream users, thanks to being so affordable / accessible. Again, don’t miss this intro to an exciting new frontier in game development! Gaming Peripherals: AR/VR HMD’s & Controllers! In partnership with Unity Austin, we’ll joining them for an event this Thursday, July 2, 2015 from 7:00 PM to 10:00 PM at Mister Tramps Sports Pub and Cafe on 8565 Research Blvd, Austin, TX. The topic: gaming peripherals! We will be covering the SDK’s and example projects for developing games & simulations in AR & VR, and discussing the different options for controllers and input/tracking. Join us for a great night of networking as we look under the hood of the Unity example projects & developer portals for Oculus Rift, HTC Vive, GearVR, MergeVR, Google Cardboard, Epson Moverio & Microsoft Hololens. We will also discuss developing gameplay functionality for multiple input types, including dual-analog controllers (XBox), the Sixense STEM, LEAP Motion, Kinect2, and Valve’s Lighthouse basestations+controllers! IGDA Austin will also be giving away a free ticket to Captivate! PLEASE SIGN UP ON EVENTBRITE HERE. SPACE IS LIMITED. What can be said in 10 minutes? When the subject is making video games, it’s dangerous to go alone. And it’s best to get straight to the point, even when the theme is AGENCY. AGENCY is the theme for the latest speaker symposium presented by IGDA-Austin, scheduled for the evening of Thursday, May 21. Doors will open at 7 p.m., with opening announcements to begin at 7:30. The location will be the Green Room of Tech Ranch Austin’s offices in Balcones North. The show is free, but seating is limited, so please sign up only if you’re sure you plan to attend! The event will be filmed and for the first time, streamed to Twitch! Visit http://twitch.tv/austinigda for details. Speakers include some of the best Austin has to offer from within and without its video game industry, from technology, design, art, audio, research and the world beyond. And how much can they say about it in 10 minutes? Volunteer banquet where more than 100 chapter leaders, dedicated volunteers and student participants were feted for their support of the organization. IGDA networking event at the San Francisco Children’s Museum. One of the biggest and eagerly anticipated events of GDC, the IGDA networking event brought together hundreds of attendees in a terrific space adjacent to the Moscone Center for an evening of music, food and great conversation. We also celebrated Kate Edwards (IGDA’s exec director) 50th birthday! IGDA chapter meetings. Leaders from around the world met with the executive leadership of the IGDA and discussed how to make the organization better and more responsive/valuable to its membership. I was stunned by the extraordinary breadth of the IGDA, meeting leaders from Europe and Asia. IGDA board meeting. The official annual meeting of the IGDA board of directors surfaced some interesting and eye-opening information about the organization. Slides are here: IGDA Annual Meeting 2015 (PDF). Overall, my first GDC was terrific and I was honored to represent Austin!